Here's a look at the gear Justin Thomas used to seal victory at the Hawaii Open, while setting a new record for the lowest 72-hole score in PGA Tour history. The American's final-day 65 saw him finish 27 under par to set the record at 253 strokes, just ahead of Justin Rose on 20 under, with Jordan Spieth third on 19 unnder. 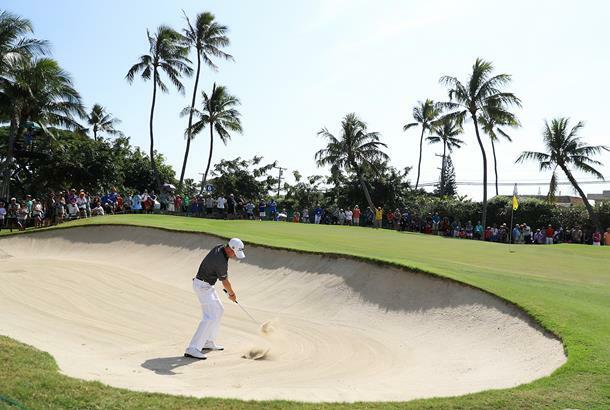 It was the fourth successive day the world number eight made history in Hawaii. He started the event by becoming the youngest man to register a sub-60 round on the PGA Tour with an opening 59, he then set the lowest 36-hole total before equalling the record for the 54-hole mark. "It's been an unbelievable week. Unforgettable," Thomas said. ""I just had a hard time getting in a comfortable mindframe. I felt like I was doing what I needed to do and making some pars, besides that bad bogey on four, but that par putt I made on six was huge."